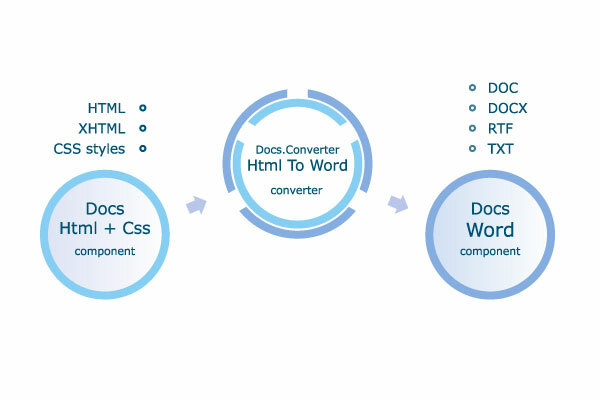 Html To Word .NET converter includes a powerful Word engine and robust HTML parser. It supports the following formats of the Word document: DOC, DOCX and RTF. The generated Word document can be written to a file or it can be retrieved in a memory stream. The Word data retrieved in a memory stream can be loaded directly into some edit control (for example Rich Textbox). Conversion from Html to Word document. Supported Word doocument formats DOC, DOCX, RTF. Paragraph formatting features such as spacing, justification, indentation, etc. Support for jpg, png, gif, emf and other picture formats. The lite version converts Html to Rtf only. It includes all features of the conversion Html to Word except the converting to DOC and DOCX word documents.